Front Yard Plans - Western Fence Co.
January 20, 2016 /in Uncategorized /by Western Fence Co. The front yard is clearly, the first thing that someone notices about your home. There is a reason that white picket fences are so much more than just additional security, but what many people refer to when talking about the American dream and familial happiness. Check out these really cool front yard designs that include more than just picket fences. Here is the traditional white picket fence with a little bit of a twist. There are beautiful flowers that crawl up the fence, allowing for a homier feel. Make it your own with some tasteful gardening! If you’re looking for more privacy, this is a great example of a twist on an old classic. 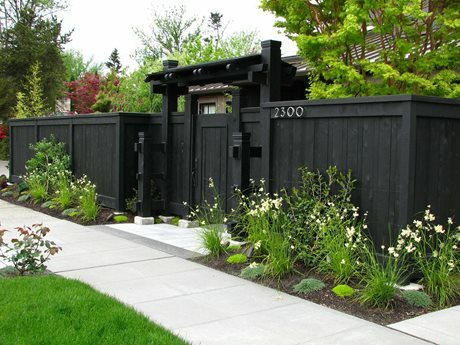 You can make a privacy fence with any material that you desire. 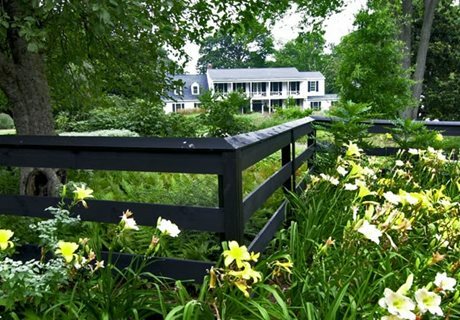 If you live outside of the city with a lot of serene nature as your back drop, then it might be a really good idea for you to fence in your entire property. This is just one example of a design that still blends beautifully with the natural landscape.